The fiction writer and current UW-Madison fellow discusses her work and reads from a new short story. Tia Clark's short stories don't always resolve neatly. This is in part because Clark's work is concerned with the messy ways in which people confront problems in their worlds. As she fleshes out characters on the page, she tends to push against notions of safe writing. It's an approach that aligns with one of the big thematic through-lines in her fiction. "I write about people who are in trouble and are trying to get something done, but the trouble is stopping them," Clark says. "Generally my characters are black people, generally young women whose trouble is sexual trauma or peer pressure. Something societal is in their way of achieving their goal, even if that might also be a problematic goal." Tia has been working to use her time to execute the act of revision. This process is generally overlooked when thinking of rounding out a story, but it is crucial to making sure the story goes where it should go.While many people use the time of a fellowship to shut themselves off from the world and write their next book, Clark has been using this time to discipline herself. "I want to really do as much as I can to finish these projects," she says. "I'm doing a lot of things right now and I get excited about new stuff very easily. I would love to learn how to focus really well—say I'm gonna do something, sit down and do it it, then have it done." As it is, though, Clark's work already shows plenty evidence of fine-tuning. Her characters are full and tangible, and they're multifaceted in their background, personality, sexuality, and race. They jest and work with and against each other as people tend to do. Clark often teaches during her fellowships and residencies. Knowing her own process and craft helps to give students a chance to make their own path. Surprisingly, creative writing classes can be full of regiment and rules—the divisive “show, don't tell”; write towards the answer, not the question—and a lot pedoglogical rigor. Clark's teaching experience allows her to give students a change. "I push against anything that says that you have to do anything a certain way in terms of writing… not everything works for everybody," she says. One practice that Clark follows is finding inspiration from repetition. She said a common way she tackles a new story, or begins to shape an old one, is to pick a song or music video and listen to that for days on end. 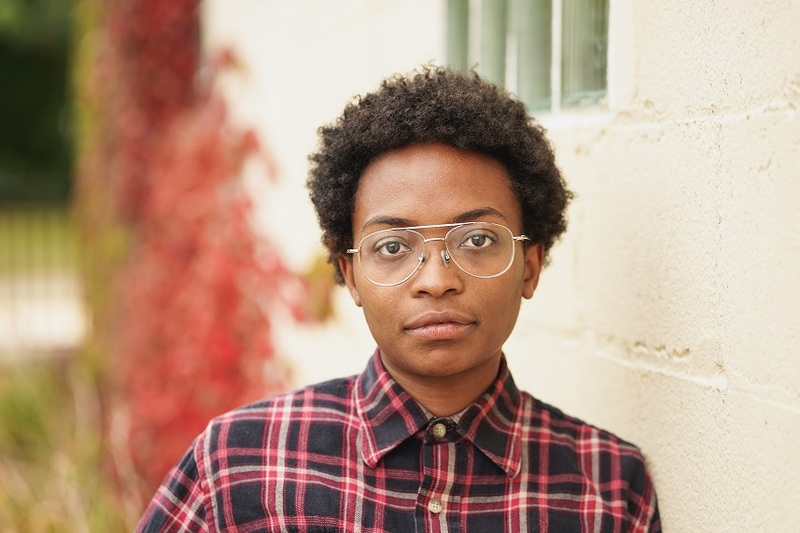 She said that one of her stories, "The Girl Gets Whatever She Wants," drew from the Frank Ocean song "Pyramids" while her new story, "A Great Dad," forthcoming in The Kenyon Review, was initially inspired by her repeated listening to and watching Odd Future's "Oldie." While the story is nothing like the music video, there is a sense of friendship and endearment in both. Clark is here in Madison as a part of the UW Creative Writing Fellowship as the 2018 Carol Houck Fiction Fellow. She has previously been a resident of the Omi International Arts Center in Ghent, New York, and the Fine Arts Work Center in Provincetown. We sat down to speak with Clark earlier in her time her here in Madison to get a sense of her craft and hear her read from "A Great Dad."